Young adults overwhelmingly value health insurance and don't believe they are too healthy to need it, according to survey data published Wednesday. 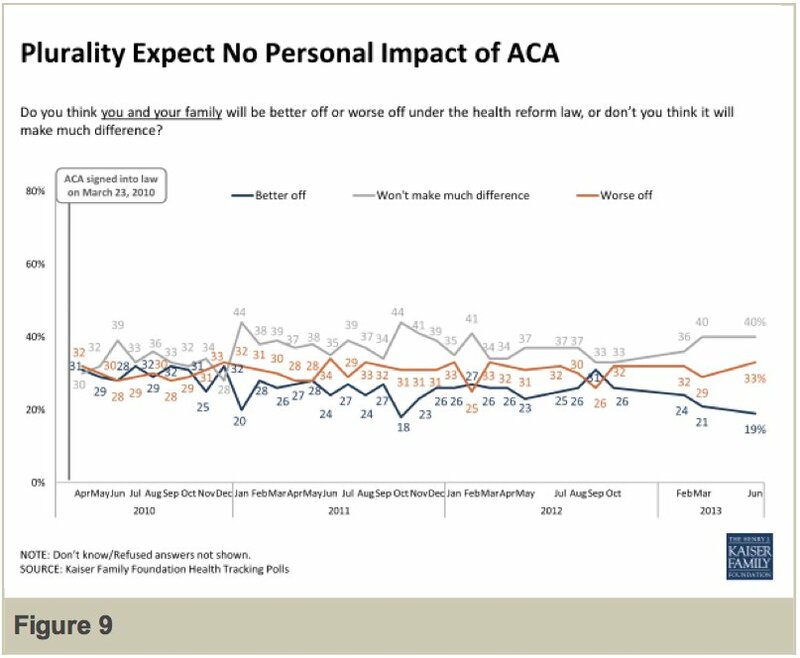 The findings of the poll by the Henry J. Kaiser Family Foundation could have significant implications for the prospects of President Barack Obama's health care reform law. Enrolling large numbers of younger, healthier people into health insurance is key to keeping premiums affordable for everyone. Moreover, young people are uninsured at higher rates than older people and tend to have lower incomes. But Obamacare skeptics maintain that young people don't obtain health insurance because they don't believe they'll get sick and find themselves with medical bills to pay. The survey findings appear to give the lie to this argument. 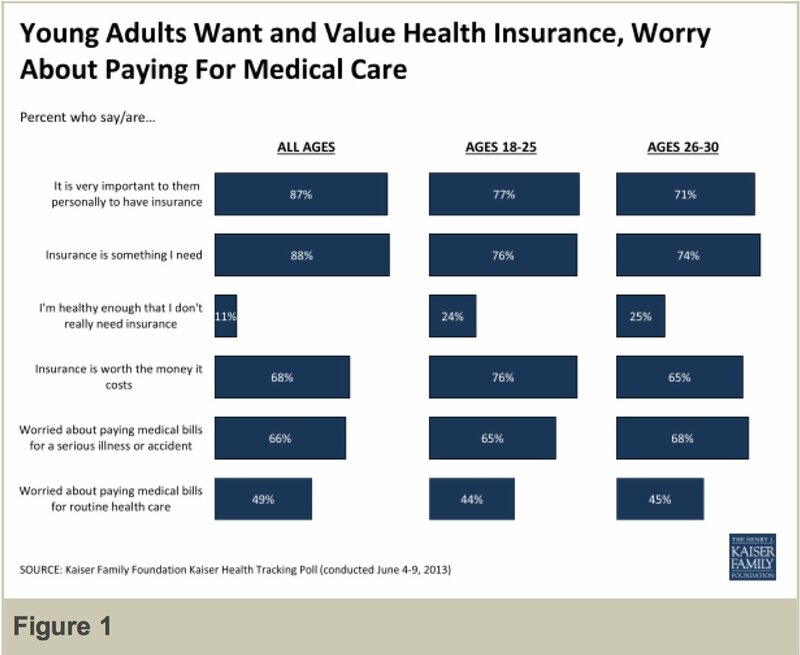 Among people aged 18 to 25, 77 percent said having health insurance was personally important to them and 76 percent said it was something they needed. The percentages were somewhat smaller for people aged 26 to 30 and were lower for young people than for the population at large. The telephone poll surveyed 1,505 people and was conducted this month. "While young adults are sometime described as viewing themselves as 'young invincibles,' the poll findings indicate that many young adults worry about affording medical bills, particularly catastrophic ones," the Kaiser Family Foundation report concludes. The Obama administration and allied organizations will focus much of their outreach efforts to promote Obamacare's benefits on younger people, starting this summer and leading into the six-month enrollment period that begins Oct. 1. Health insurance companies have begun to submit proposed prices for products that will be sold on Obamacare's health insurance exchange marketplaces for people who don't get health benefits at work. The mixed early results have provoked a debate over whether the plans will be affordable, especially among younger, healthier people who may be able to obtain inexpensive coverage under pre-Obamacare standards. Health care reform rules like those mandating a specific set of benefits, prohibiting the exclusion of pre-existing conditions and limiting how much older people can be charged are expected to increase premiums for some younger people. But the health care reform law also provides tax credits to defray the cost of insurance to people earning up to four times the federal poverty level, or $45,960 for a single person this year. According to the consulting firm Avalere Health, about two-thirds of people younger than 30 would qualify for subsidies. A recent analysis by the liberal advocacy group Families USA came to a similar conclusion. 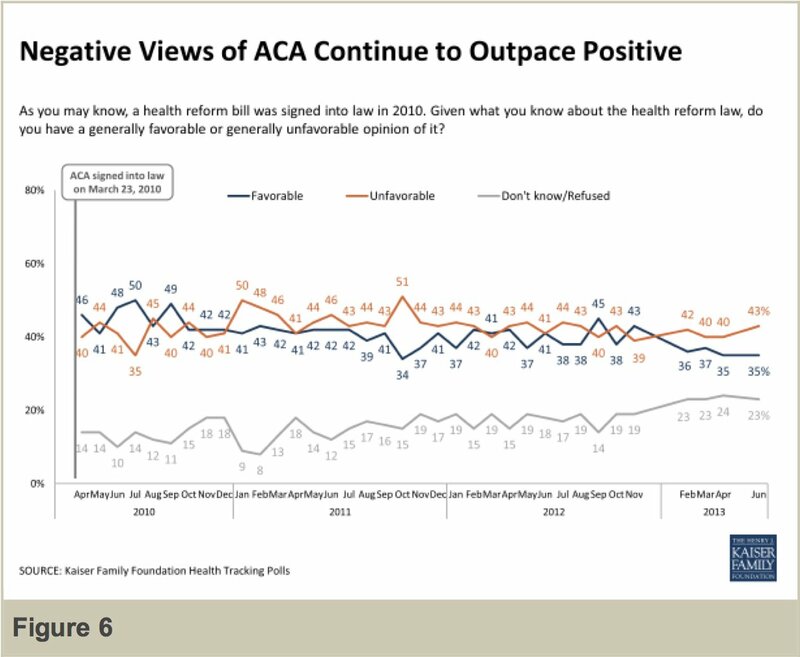 The Obama administration and supporters of health care reform still face a dubious public overall, however. According to the Kaiser Family Foundation survey, 43 percent of people surveyed have an unfavorable view of the law compared to 35 percent who regard it favorably. 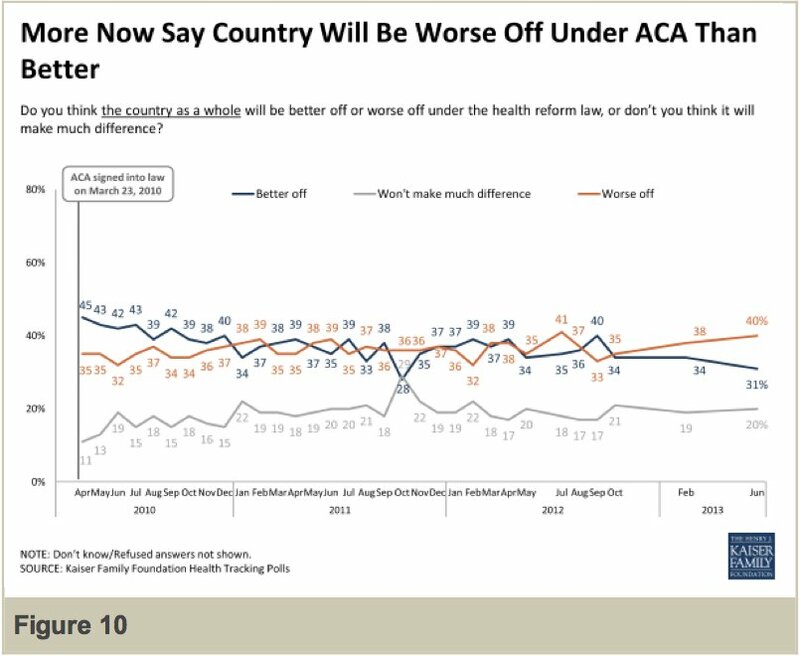 Survey respondents also expressed pessimism about Obamacare's effects on the country and their families.